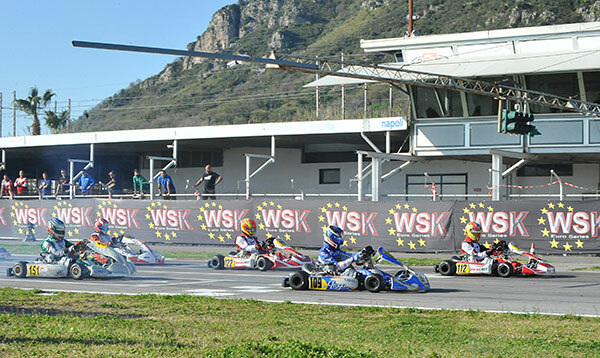 WSK has moved from the Super Master Series into the Euro Series with the opening round at Sarno this weekend. Australians James Wharton and Peter Bouzinelous are competing at the event. Wharton (Ricky Flynn Motorsport, FA Kart/Vortex) qualified 5th in the 57-kart OK-Junior field. He then enjoyed a 2nd and a win in his Friday heat races. Bouzinelous (Parolin Racing Kart, Parolin/TM, below) qualified 32nd in the 70-kart Mini class. He has had just one heat so far, but was hit with a nose cone penalty and classified 26th. Peter Bouzinelous with mechanic Robert Cubbin, 60Mini. The remaining heat races are tonight (Australian time) followed by pre-finals and finals on Sunday evening. The fresh winner of WSK Super Master Series in OK, Dexter Patterson (KR-Iame-Bridgestone) is resolute to keep his usual pace and posted the quickest time in qualifying in 56”917s. This time around the Brazilian Matheus Morgatto (Tony Kart-Vortex) tried to close in on the Scot and classified second. The opening qualifying heats followed in the afternoon and the Italian Lorenzo Travisanutto (KR-Iame) raised his game trying to bounce back from the unlucky season-opening he had in WSK: he won the first heat leading Morgatto. The two put their name forward as serious rivals of Patterson in the heats that will follow tomorrow. Nikita Bedrin leads the charge to the victory in OK Junior and posted the fastest time of qualifying in 59”143s. The Russian led the Irish driver Alexander Dunne (both on Tony Kart-Vortex-Vega), while Andrea Kimi Antonelli (KR-Iame), who won OKJ last Sunday, started with an eighth place in qualifying. The title quest continued in the afternoon with the first four heats that were won by Dunne, the Pole Tymoteusz Kucharczyck (Parolin-TM), the Australian James Wharton and the Dutch Laurens Van Hoepen (both on FA Kart-Vortex). These drivers replied to Bedrin who started his heats claiming P3. 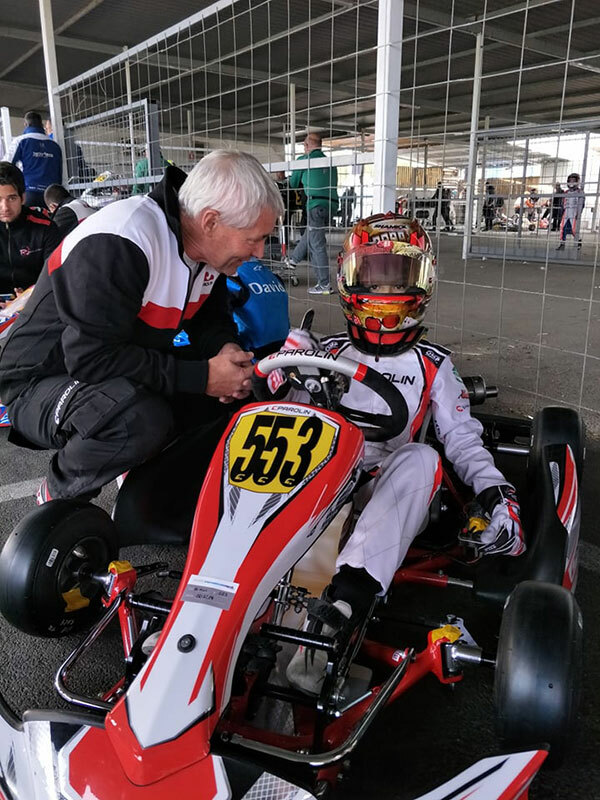 After posting the fastest time of KZ2 qualifying last week in the closer of Super Master Series, Lorenzo Camplese (Tony Kart-Vortex-Bridgestone) repeated his performance this time too stopping the watches after 56”286s. The Italian kept the French Adrien Renaudin (Sodi Kart-TM) behind, before keeping his momentum and winning the first of the two heats. 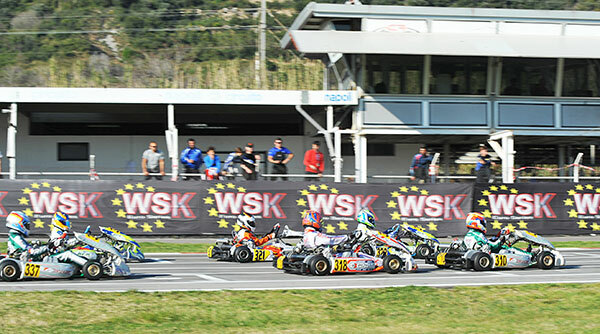 Francesco Celenta (Praga-Iame) won the second heat (above, the start from the grid), race in which the fresh winner of WSK Super Master Series from Holland Bas Lammers (Sodikart-TM) made his debut ending third. The Jamaican Alex Powell (Energy-TM-Vega) is back on top of the classification, position that he had not occupied since last season. He posted the quickest time in qualifying in 1’06”521s, leading United Arab Emirates’ Keanu Al Azhari (Parolin-TM). 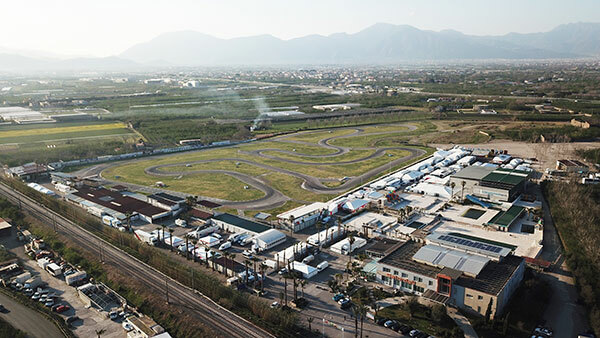 The four heats run today were won by Powell, the Swede Joel Bergstrom, the Brit William Macintyre (both on Parolin-TM) and the Italian Andrea Filaferro (Tony Kart-TM). WSK Super Master Series winner from United Arab Emirates Rashid Al Dhaheri (Parolin-TM) had a troubled start and ended qualifying and the heat he run behind.